Grid structure of major pathways of the human left cerebral hemisphere. 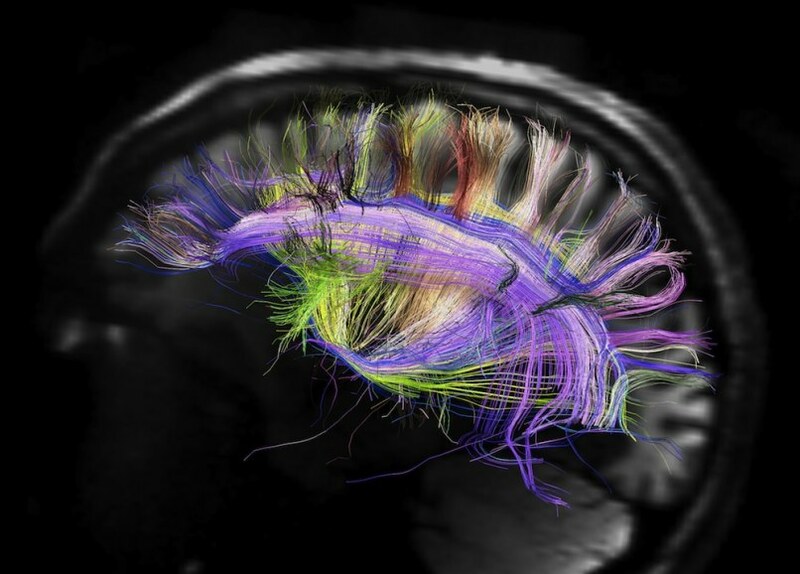 Seen here are a major bundle of front-to-back paths (the “superior longitudinal fasciculus,” or SLF) rendered in purples. These cross nearly orthogonally to paths projecting from the cerebral cortex radially inward (belonging to the “internal capsule”), shown in orange and yellow. These data were obtained in the new MGH-UCLA 3T Connectome Scanner as part of the NIH Blueprint Human Connectome Project.